Is It Good? 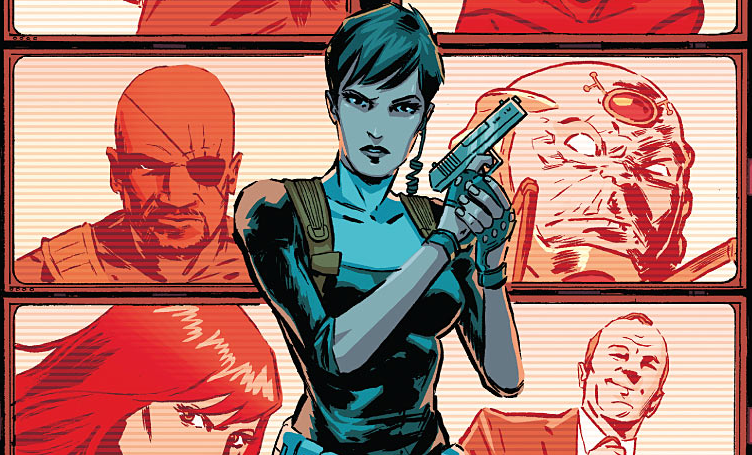 Secret Avengers #2 Review – AiPT! After a stellar debut last month, Secret Avengers continues to roll on with its second issue. Can it keep the momentum it has built? Is it good? Maria Hill is being confronted by a lone gunman that put a hole in her hand; Black Widow, Spider-Woman, and Hawkeye are heading to outer space; MODOK observes the chaos in the world; and Nick Fury and Phil Coulson are falling towards Earth while in space. Things are always happening. The comic is also getting strangely poetic and mature for some reason. This issue brings about the ending to the first arc (that was strangely quick) and it’s a pretty decent wrapup of everything, besides whatever was going on with AIM last issue. It feels like a full and complete story without some gimmicky thing at the end that directly leads into the next arc without giving the audience a moment to breathe. The only downside to all of this was the fact that the issue was not all that exciting like the previous issue; most of the story bits wrapped up rather simply and there was no real action or tense moment at all. It feels a bit unsatisfying to a degree because of that. The writing is still mostly strong here. The characterization is nice and everyone gets a moment or two to flesh them out some more. Though the only problem with that is the portrayal of Spider-Woman, who comes off as being incredibly unprofessional and almost as if she is a newbie when it comes to space assignments (she went to outer space to fight in a gigantic intergalactic war and now she’s nervous?). The pacing here is still very tight and does a great job giving every scene enough time and focus to have impact without feeling stretched out. Dialogue and humor are also pretty strong (though some jokes sound a bit forced), with no moments that conflict with the tone or mood. Lady, you were in Infinity for god’s sake! This mission is a walk in the park in comparison. The artwork still is reminiscent of Aja’s artwork over on Hawkeye, though with a brighter and more vibrant color scheme to it. The layouts are simple and don’t have much in the way of backgrounds, but they often try to add more weight and gravitas to certain scenes, like the confrontation between Maria Hill and her shooter. Characters are identifiable and have a good range of expressions to them. It has a minimalistic style to it like other artists out there and it definitely works for fans of this style. Secret Avengers #2 is a decent conclusion to the short first arc of the series. It wraps everything up nicely for the most part, characters are memorable and fleshed out (sans Spider-Woman), the writing is good, and the artwork definitely has its appeal. Overall, not a bad conclusion to the first arc and here’s hoping it’ll lead to more fun adventures in the future.